Many Las Vegans may remember the day that a 40-car cavalcade made its way from the Las Vegas FBO and Air Force One to a dilapidated building in an unlikely part of town. Traffic was snarled across the entire city for hours. It was raining cats and dogs, and the Presidential parade was on its way to visit a little known and struggling organization called Opportunity Village. Inside the building; formerly the 7up bottling plant at Charleston & Las Vegas underpass, sat 200 excited citizens, people with profound intellectual and related disabilities, all waiting with bated breath for the President of the United States to pay them a visit. George H.W. Bush was heading our way and you could have picked our excited folks off the ceiling. This unprecedented visit was arranged by legendary ad man Sig Rogich, and longtime friend to the disability advocate community. Sig had arranged for Opportunity Village to make the Presidential buttons, 250,000 for the Reagan Bush campaign and $100,000 for the Bush-Quail re-election campaign. The day before this most propitious meeting, swat teams, bomb squads, and advance secret service members swept the highways and byways and crawled onto our rickety roof looking for potential explosives. Special note was given to the interior beams that were shored up in anticipation of a collapse. Assorted buckets to collect the rainwater that fell rarely from the Las Vegas skies, stood in a line. The morning of the visit I received a last-minute call from a secret service member, it was a request for umbrellas…the sky had opened up… big time. Being the frugal fundraiser that I am, I rummaged through our thrift store to come up with an assortment of wonky parasols including one featuring fashionable pink polka dots. Our folks new that a great man was coming. The 30 man press crew packed into a hastily constructed platform in the middle of the building and knew that this place was not fitting a Presidential visit. Instructions from the advance team were to remain seated when the President entered the room, he would walk a pre-determined path with me leading the way, shake a few hands, take a few photos and be on his way. It was to be a thirty-minute visit. Well… that was what was supposed to happen. As the man himself walked through the door, my crew erupted! 200 souls jumped to their feet and several rushed the President for hugs. Shouts of “do you know Elvis?” as my face reddened, another…” are you the real president?’ and a chorus of “hey George… look at me!” One portly guy lifted his shirt to proudly show off the American flag-festooned upon his chubby tummy. Oh boy. The plan had instantly gone awry, secret service darted about as cameras clicked and I tried my best to take control, imploring adoring people to please sit down. It was at this point that the face of our President came into view. And he was laughing. 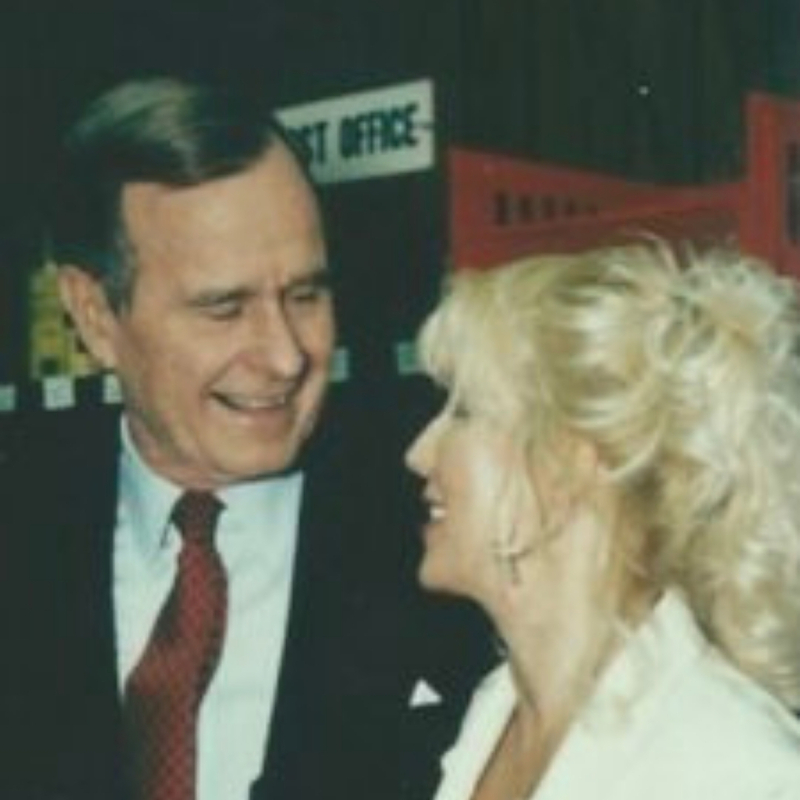 Yes, we loved George H.W. Bush that day. And the next and forever. Before departing for his second scheduled visit… now a full 45 minutes behind schedule, my President took the time to greet each and every staff member and thank them for their service. It was at that moment that I fell in love. 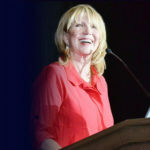 Linda Smith is an author, disability activist, humanitarian, and motivational speaker from Las Vegas, Nevada. She is well-known for her charitable actions and has raised over one billion dollars for charity in honor of her son, Christopher. Learn more.